Market-leading trace visualization with 30+ views of your software's real-time behavior, from detailed traces to high-level overviews. Tracealyzer provides amazing insight into your embedded and IoT software at runtime, for faster debugging, optimization and validation. JAS 39 Gripen - by SAAB, a Percepio Tracealyzer customer. 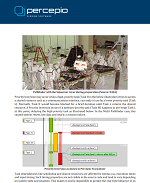 Percepio Tracealyzer reveals what is actually going on in embedded software at runtime. Trace your software’s real-time behavior, gain valuable insight with advanced visualization and power up your debugging. No special hardware is required. Stop guessing and boost your productivity! 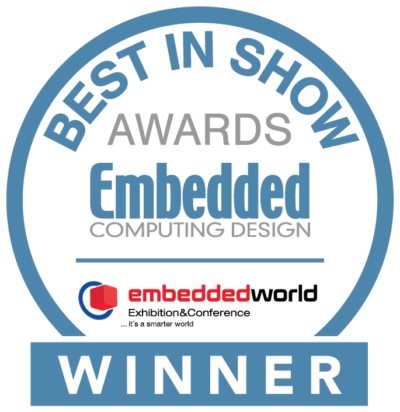 Percepio’s Device Firmware Monitor received a Best In Show award at Embedded World 2019. Make sure to visit the RTOS Debugging Portal for blogs and white papers about RTOS-based firmware design and how Tracealyzer can assist your development. In this post we are going to dive deeper into Device Firmware Monitor and explain what it takes to set it up and how it can be used in a typical IoT application. Are you using Tracealyzer today but find yourself wishing that we should have added that special missing feature? We hear you: over the next few months we are going to enable embedded and IoT developers to do many things themselves, without having to wait for new releases of Tracealyzer. One of the many free academic licenses for Tracealyzer that Percepio has handed out this year went to Charles Sommer, research engineer on the AAReST project at Caltech in Pasadena, California. 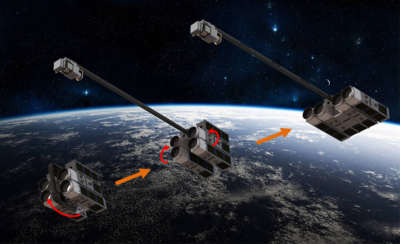 AAReST aims to construct a telescope that can be sent up in space in pieces and then assemble itself in orbit. Terry West, CEO, Serious Integrated, Inc.
Carlo Pompili, CEO, Telcred AB. Jean Labrosse, president and CEO, Micrium, Inc.